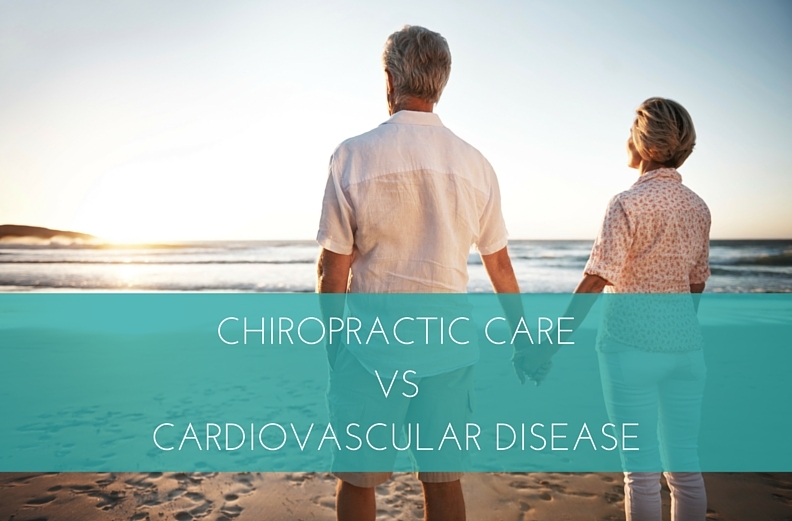 Learn why adding chiropractic care to your prevention or treatment of cardiovascular disease is a smart idea. Cardiovascular disease is the number one cause of death of people in the United States. It’s so common in fact that heart health is at the forefront of most American’s health concerns. People understand that it is important to take proper actions to prevent cardiovascular disease for a long, healthy life. Chiropractic care can significantly help prevent or treat heart disease. I recommend it to every one of my patients, especially those with heart rhythm issues, hypertension and syncope (a fancy term for passing out). I’ve been a practicing cardiologist in Phoenix, Arizona for more than 15 years. My father was a cardiologist. My wife is a chiropractor. I have seen the benefits of chiropractic care with my own eyes. The heart and blood vessels are connected to the central nervous system by millions of tiny connections. One major attachment is the vagus nerve (which comes from the brain) and the autonomic nervous system (which has input into the entire body). These nerves control heart rate and blood pressure, both essential factors for heart health. Since chiropractic care positively impacts these nerves, its benefits to the heart are tremendous. Improves heart rate variability – the more your heart rate bounces around, the longer you will live. Many patients with severe heart issues have problems in this area(4). Decreases chest pain – millions of hospital visits for chest pain can be avoided by referral or chiropractic care (5). A huge reason I refer patients to chiropractors is that chest pain is often musculoskeletal in nature. Most patients can be quickly assessed and once a doctor determines that the heart is not involved, curative therapy from a doctor of chiropractic is imperative. Patients do not need the “million dollar work-up”, they need an adjustment. 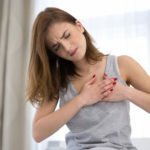 Costochondritis, rib misalignment, or thoracic vertebrae subluxation are all causes of chest pain and shortness of breath that will respond to chiropractic care. Improves lung function – chiropractic care has been proven effective in patients with asthma and emphysema (6) and poor lung function has been linked to heart failure. Good chiropractic care benefits much more than just your heart. You name the disease, chiropractic care has a role because the nervous system touches every cell in the body. The nerves travel from the brain thru the spine and on to the rest of the body. If the bones of the spine are out of whack, symptoms and disease occur. If you have ever fallen out of bed, been in a car accident, or played sports, I assure you that your spine is misaligned. Please do not ask your medical doctor or orthopedic surgeon if chiropractic is right for you. Chiropractors are competition for those who recommend pills and procedures. You will get a biased opinion from most phsyicians. Instead, ask the millions of people who see chiropractors every day. A series of adjustments seems like a better approach that spinal surgery or short term fixes like epidural injections. Don’t you agree? I recommend that everyone have a regular chiropractic care treatment regime. It’s good for your heart, it’s good for your health, and it’s good for your body. 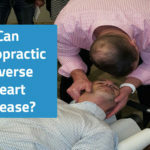 Can Chiropractic Reverse Heart Disease?